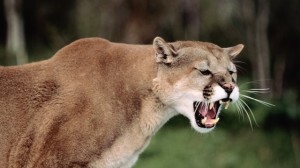 After the collision, the mountain lion fell down a nearby embankment. The animal was suffering, and officers determined it was best to euthanize it. The driver did not suffer injuries, but the collision caused major damage to the vehicle. CHP officials say vehicles often collide with animals on Highway 1 between San Luis Obispo and Morro Bay, but the majority of the crashes involve deer. The deer patrol in now understaffed.